The Swadro 2000 six rotor rake is the largest rotary rake in the world. It is build for the most professional contractors and large scale farmers. 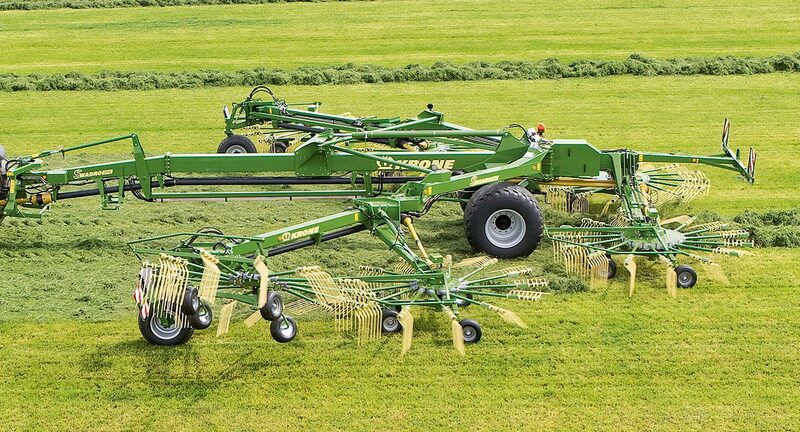 As forage harvesters and also large square baler like our Big Pack HDP II and High Speed balers are getting more and more productive, there is only one way to slow them down, by raking more crop into the windrow.